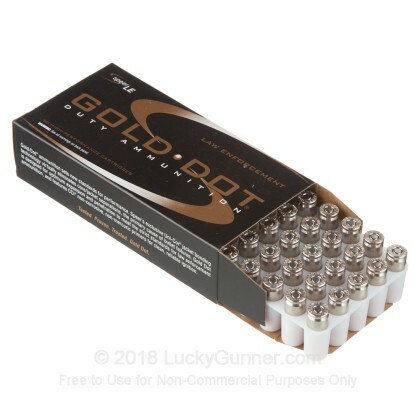 This Speer Gold Dot self-defense ammunition is as good as it gets! 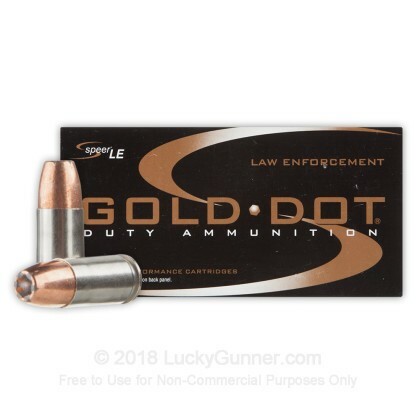 Speer Gold Dot jacketed hollow point rounds are known for being at the top of the class for self-defense ammo in every available caliber. This is done by combining several important factors into the same round. Those factors include: a bonded jacket which has nearly perfect weight retention, dependable and predictable expansion in soft tissue, and consistent accuracy. 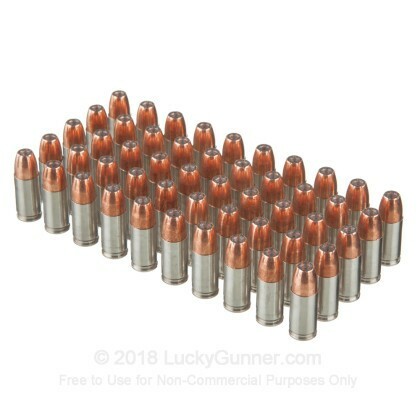 This ammo has a 124 grain bullet and is loaded to +P pressures. 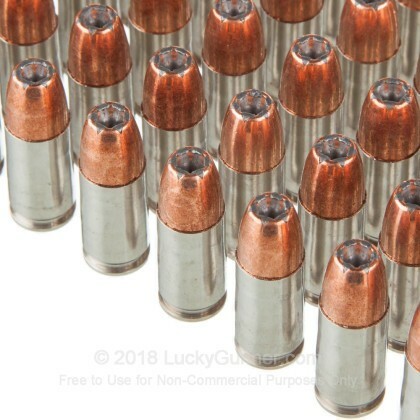 You should make sure that your handgun is designed to fire +P ammunition prior to using this ammo. Feeding your handgun a diet exclusively of +P ammunition can increase the wear and tear on your pistol. 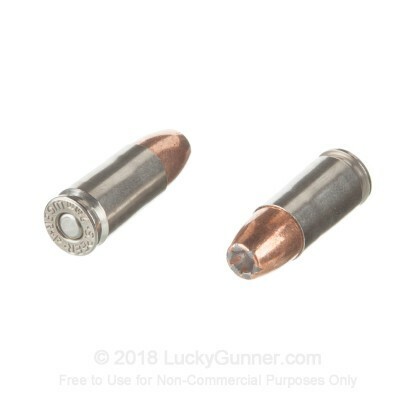 This ammo is brass cased, boxer primed, non-corrosive and reloadable. 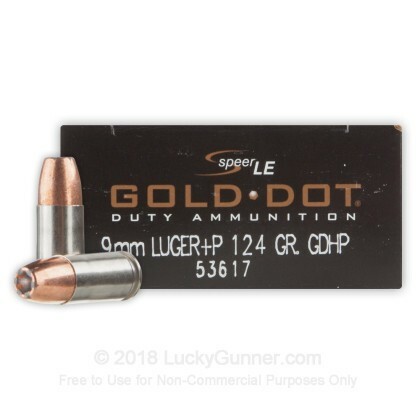 We also have this 9mm Luger - +P 124 Grain JHP - Speer Gold Dot - 1000 Rounds ammo in stock in a bigger quantity.